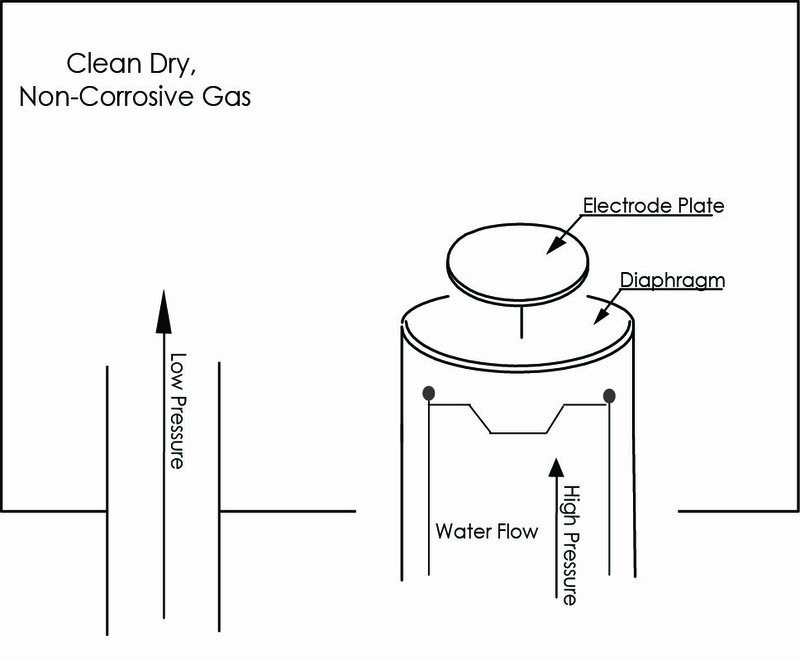 What is the difference between Wet-to-Wet, Dry-to-Dry, and Wet-to-Dry differential pressure transducers? A W/W differential pressure transducer, for example Setra’s Model 231, is used in applications where the necessary measurement being taken has a liquid on both the high and low pressure ports. The difference between the pressure on the high and low pressure ports is linearized and converted to a usable electrical signal, typically a voltage or current output. These sensors can be designed utilizing a single diaphragm with fluid pushing on both sides, or two separate sensors can be used to calculate the differential pressure. Common Applications: W/W transducers are commonly used in HVAC applications for building management including filter status, monitoring strainer baskets, chiller efficiency, and suction and discharge of pumps. These sensors are also used in process and pressurized tank applications. A W/D differential pressure transducer contains a single metal diaphragm at the wet port where fluid can be applied. The dry port exposes the internal circuitry to the medium, and contains an open electrode so only clean dry gas can be applied to this port. Pressure is measured by the amount of air flow that moves the diaphragm against the water flow. It is essential to keep in mind that water cannot be used on both sides or in the dry port. A D/D differential pressure transducer is similar to a W/W transducer except it is used in applications where the necessary measurement being taken has only air or non-corrosive gas on both the high and low pressure ports. The difference between the pressure on the high and low pressure ports is linearized and converted to a usable electrical signal, typically a voltage or current output. These sensors are designed utilizing a single diaphragm where the diaphragm deflects in one direction or the other. The result is linearized into an electrical output similar to the W/W differential transducer. 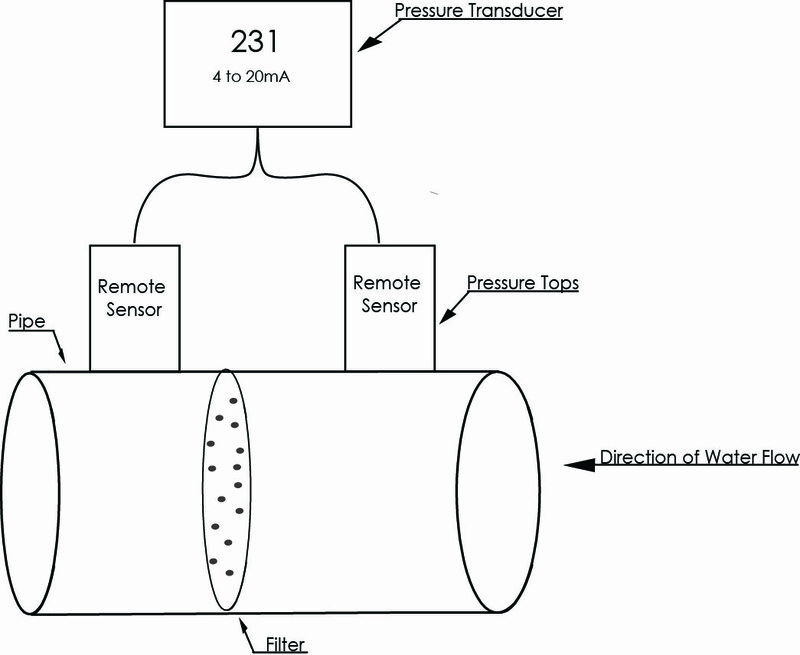 Common Applications: A D/D transducer is more commonly used for measuring low pressure; <3 PSI. However, the sensor design can also be used in high pressure Test & Measurement applications. D/D transducers are commonly used in cleanrooms, isolation rooms, filter status, leak detection, stairwell pressurization. CLICK HERE to learn more about wet-to-wet differential pressure systems.